Kevin Jeffries, CFPS, CEAS is a Senior Consultant with JENSEN HUGHES. 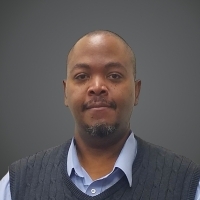 Mr. Jeffries brings 21 years of industry experience in EHS systems development & implementation, specializing in specializing in Combustible Dust Fire & Explosion Risk Mitigation, Process Safety, and General Industry Safety Compliance, Hazard Mitigation & Management Systems. Prior to his time as a combustible dust consultant with JENSEN HUGHES, Mr. Jeffries held EHS Leadership positions with companies like Amcor Rigid Plastics, and Kellogg Company where he worked with a team of professionals to help build sustainable EHS Management systems that included specialized hazards like combustible dusts. Mr Jeffries was also joined West Pharmaceutical Services and Imperial Sugar after their combustible dust explosions as part of a team of professionals focused on rebuilding state of the art engineering and administrative systems.